As if providing us with guilt-free goodies wasnt enough, some of our favorite food brands are running INSANE contests as we type this...Check these out and good luck! We sniffed out a bunch of amazing contests (our TOP ATE, to be exact) for you to enter, from some of our favorite food companies. Please note that these are NOT ads; we are NOT being paid to feature these and there is no purchase necessary to enter. We just thought this stuff was cool, and that you might enjoy entering - and possibly winning. Weeee! 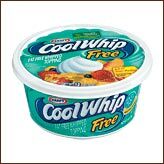 The Contest: Do The Dip, Win a Trip Sweepstakes. Theyre giving away four 5-day trips for 4 to <?xml:namespace prefix = st1 ns = "urn:schemas-microsoft-com:office:smarttags" />Orlando, FL, complete with airfare, hotel rooms, theme park passes and $1,000 in spending cash! 100 others can win portable DVD players. Hurryends November 1st! 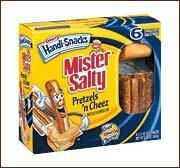 HG's Pick: Pretzels n Cheez Single Serve snacks. These individual packs of salty pretzel sticks and creamy cheese dip have only 90 calories and 3.5 grams of fat. They could come in handi on your plane ride! The Contest: Win a Home Gym Instant Win Game. Win a deluxe gym set worth over $4,000. Were talking a Bowflex Extreme Home Gym, a treadmill, an elliptical machine and a weights set. BTW, you can't enter this one online. Courtesy of: Kraft & Nabisco...Yippeee! HG's Pick: It's tough to choose just one product from the company that brings us all those 100 Calorie Packs. 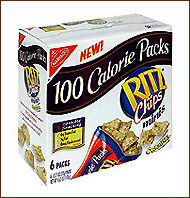 But were currently hooked on the 100 Calorie Ritz Chips Minis. And, of course, the Oreo Thin Crisps. And the Chips Ahoy! Thin Crisps. I guess we pretty much love them all. 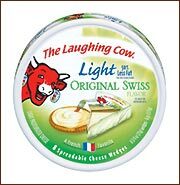 The Contest: "A Beautiful Buffet for the Holidays" Sweepstakes. We love LOVE this awesome and original prize pack. A triple buffet serving station, a stylin assortment of terrycloth kitchen accessories, and a full line of seasoning blends and marinades?!? Party time...Woohoo! HG's Pick: We heart all of Mrs. Dash's seasonings. But right now, were feelin the Lemon Pepper stuff. We sorta cant believe that its salt-free; it makes the perfect replacement for salt and butter on corn on the cob, and its also great for adding some zazzle to soups. Fancy! HG's Pick: Its no secret that were Millstone fanatics when it comes to our coffee. But were also kinda sweet on Max Houses Filter Packs. They're perfect for those of us who hate to grind and measure. The Contest: Post Selects "B & B Getaway" Sweepstakes. Its cool enough that the Post people are offering up a 3-day getaway with airfare and car rental. But the fact that you get to pick your destination from over 4,000 bed n breakfasts is super-cool. We love you, Post. 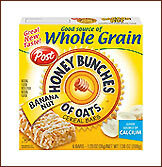 HG's Pick: Honey Bunches of Oats Cereal Bars make an awesome on-the-go breakfast or mid-day snack. They come in Banana Nut, Cranberry Almond and Oatmeal Raisin, and these whole grain treats contain just 130 140 calories and 3 4 grams of fat each. Mmmmm! Share this super-cool contest email with everyone you know. If you all enter, one of you is bound to win SOMETHING. Click "send to a friend" NOW! HG NOTE: The Yum Yum Brownies featured in yesterday's email have approx. 2 Points each, and the giant pumpkin pancake has 3 Points.